In 1907 suffragette Annie Kenney brought the militants’ fight for women’s right to vote to Bristol. For the next few years the city rang with the cry “Votes for Women!”. From colourful demonstrations on the Downs and stone-throwing in the Centre, to riot on Queen’s Road and arson in the suburbs, the book tells the fascinating story of Bristol’s suffragette years. 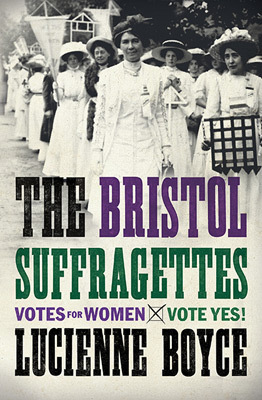 Also includes a map and short walk in the Bristol of the suffragettes. The Bristol Suffragettes picked was a “fabulous feminist read” by the Bristol Magazine in February 2018. Find out about the books selected by Bristol Magazine here – opens as PDF document. Spotlight On has moved to my blog. The aim of Spotlight On is to remember some of the people and places associated with the suffrage campaign, particularly in Bristol and the South West. In order to have space to include more information I have moved Spotlight On to my blog, Francesca Scriblerus. The Spotlight On archive is still available for download here on the website. In the latest Spotlight On I look at the suffragette exploits of the Tollemache family of Batheaston, near Bath. Read ” ‘Madder Than Ever’: the Tollemache Family of Batheaston” here. Find out more about researching the suffragettes in Research. 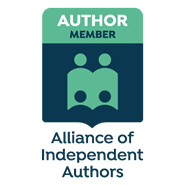 If you have a suffrage story you’d like to tell, please get in touch and if it’s suitable I will feature it on this website. This could include information about militants or non-militants, and even antis! See some other Suffrage Stories here. 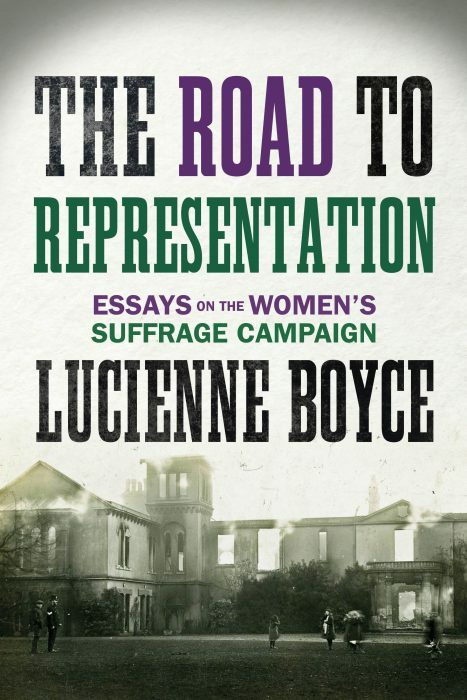 If you’d like to share your suffrage story, you can email me here. 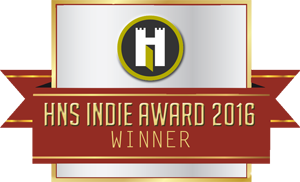 Also available for delivery to your nearest local bookshop (UK) from Local Bookshops.co.uk. You can buy signed copies directly from me (contact me on the email below). Was there a suffragette in your family? Have you got a suffragette story to tell or a local suffragette you’d like to include on this website? There doesn’t have to have a Bristol connection, though that would be a bonus! If you’d like to share your suffragette story you can email me here. Find out why University of Bristol students attacked the Bristol WSPU shop in 1913. Article published in UoB alumni magazine, Nonesuch Spring 2003. Download A is for Arson (PDF Document). Celebrating all things books and reading for tonight's #WorldBookNight! As dusk descends and darkness falls we'll be here, browsing the stacks @TheLondonLib ready to creep about in the crepuscular for our dose of penumbral inspiration. Here’s the Holloway brooch I have for sale, given to WSPU suffragettes on release from prison - listed in my Cat 200 - online on my website on Tuesday. I wonder how the govt is going to deal with prisoners arrested for #ExctinctionRebellion protest?